3.1 Phillip Lim has to be one of my favorite brands to actually wear instead of just admiring from afar (remember my post on the Pashli Mini Satchel?). This quote is so fitting of Lim's designs: classic with just enough twist to make them unique while still maintaining an inherit sophistication. 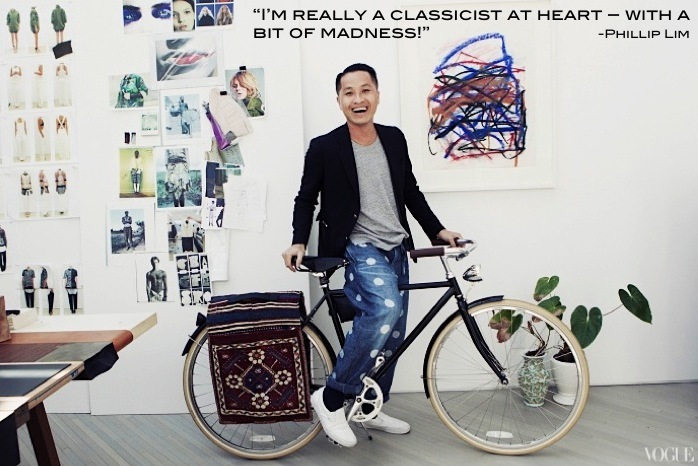 I've collected a few pieces of Phillip Lim over the years but am eager for more. On my wishlist at the moment are his draped trousers (I've tried them on and they are surprisingly flattering), this grunge meets glam draped silk tank, and of course the newest addition to the cult 'Pashli' line, a Pashli Medium Satchel (the perfect size for an everyday bag). Last week it was announced that 3.1 Phillip Lim for Target will launch September 15, and I'm already preparing to throw elbows in order to snag one of everything! Just take a look at this image from The Wall Street Journal. 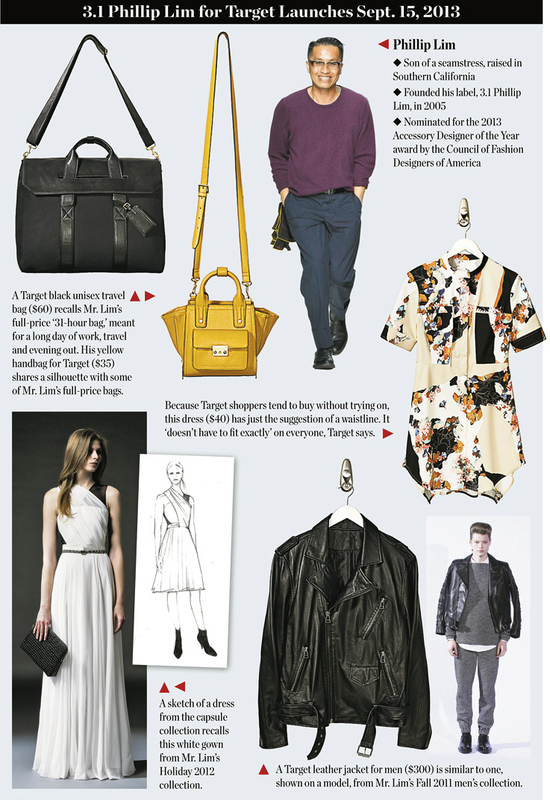 What's on your list so far when Phillip Lim for Target hits stores? that yellow purse is only $35!?! amazing, I'll be throwing 'bows right there with you - love the target collaborations so much. The bags look amazing, still so long away! OMG. Dying, I NEED that floral print dress, and that mini yellow bag!!! I CAN BARELY wait for his collection! Umm his polka dot jeans ... what an adorable man! That yellow handbag looks so cool... I want! very nice blog and post! Ohh I need yellow bag!! I follow you! I love your blog, follow me? ?